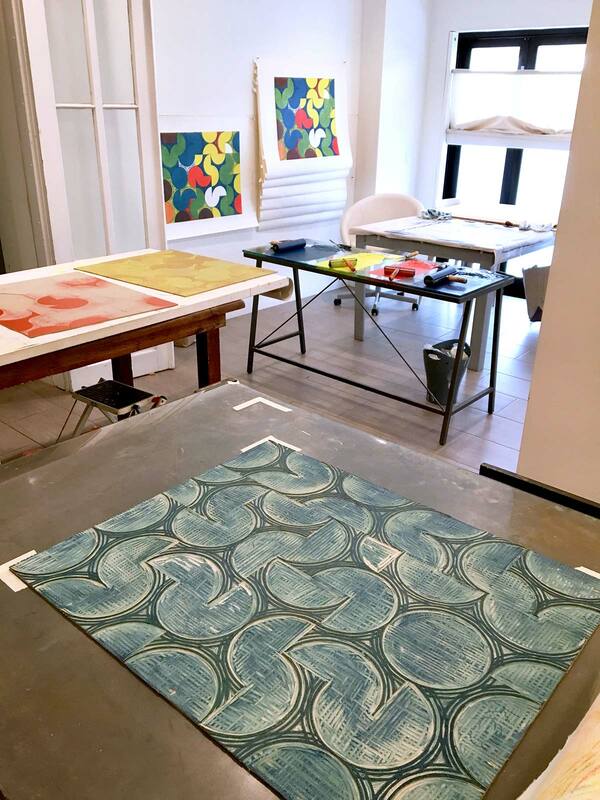 Artist Jonathan Fabricant regularly makes hand-rubbed prints in his studio from linoleum blocks, placing paper directly on the inked block and rubbing the back of the paper to create the image. In exploring larger abstract images, he has been using the press at the Russell Janis Studio to accommodate the new scale and complexity of these orchestrated carved blocks. It has been exciting for us to work with Jonathan on Toggle 2018, his latest limited edition linoleum block print. 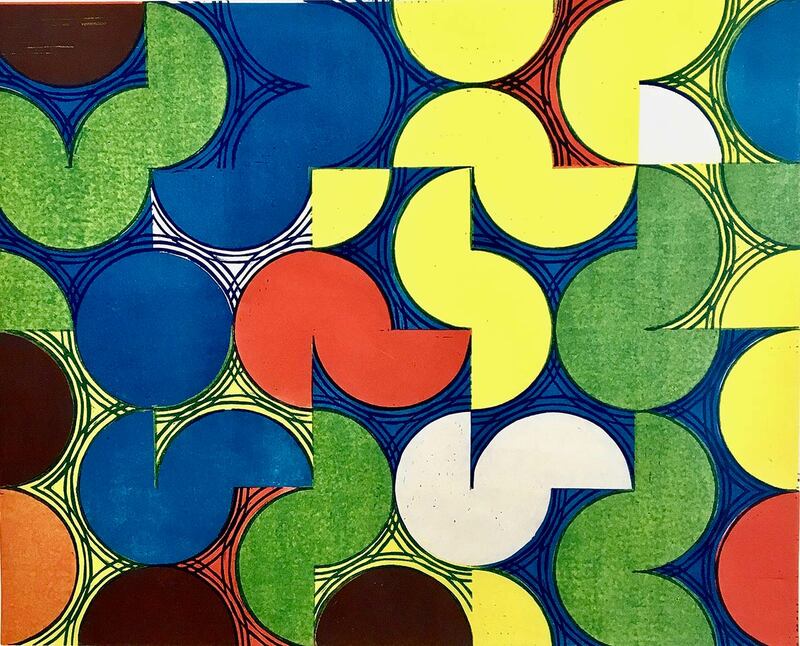 This fresh, playful composition of carefully positioned circles in squares is revealed through the layering of the primary colors red, yellow and blue in multiple passes through the press. 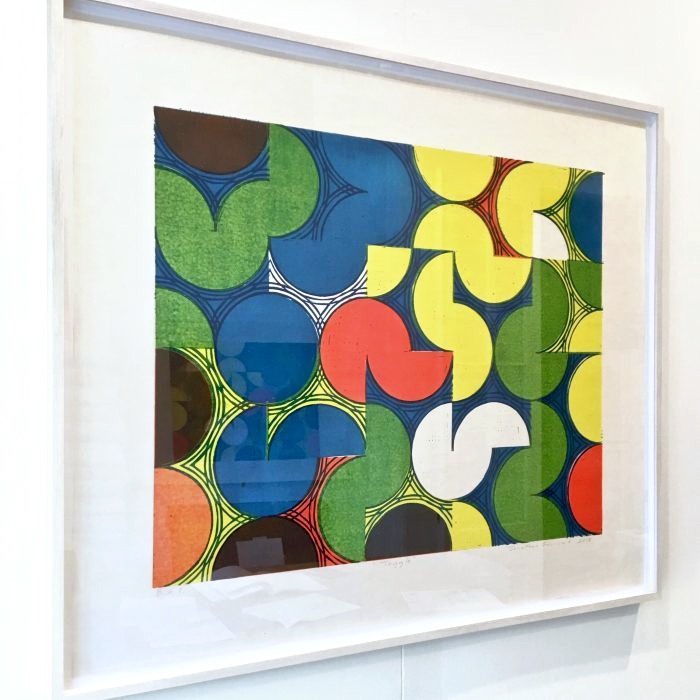 Printed in an edition of 10 on Okawara paper at the Russell Janis studio in November 2018, the print is signed and numbered on the front. Published by the artist and Russell Janis Studio. For more information or to purchase please click here. Olive Ayhens, Jamie Boyle, Annie Coggan, Peter Cross, Tara Douglass, Jen D'Arbenzio, Louise Eastman, Wendy Edwards, Jonathan Fabricant, Susanne Greene, Molly Haynes, Michael Gundlach, Susan Martin, Emily Mason, Danielle Pomorski, Joe Peppe, Jessica Perelman, Wendy Small, Barb Smith, Beatrice Steinert, Russell Steinert, Janis Stemmermann, Victory Garden, Betsy Weis, Ron Weis, and Andy Yoder.